In 1973, India launched a major conservation project called Project Tiger with a grant of US $ two million from the World Wildlife Fund and from the Government of India. Initially, there were nine areas designated as Project Tiger, but now there are 15 areas covering a total area of 24,712 sq. km. As a result of the Project Tiger, there has been a tremendous increase in the number of tigers. 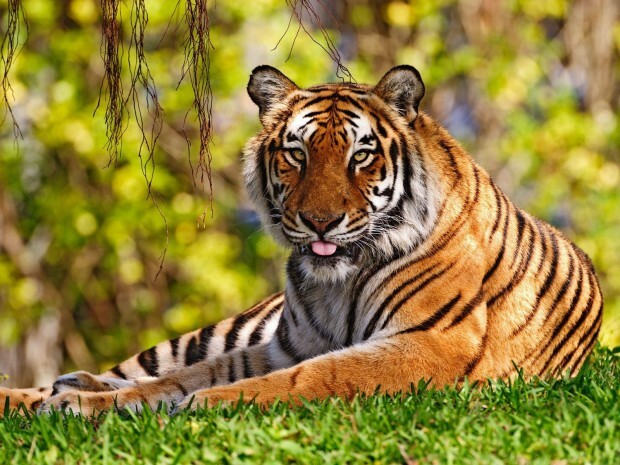 Some of the popular Project Tiger Reserves in India are the Kanha National Park, Corbett National Park, Ranthambore National Park, Dudhwa National Park and Bandhavgarh National Park. 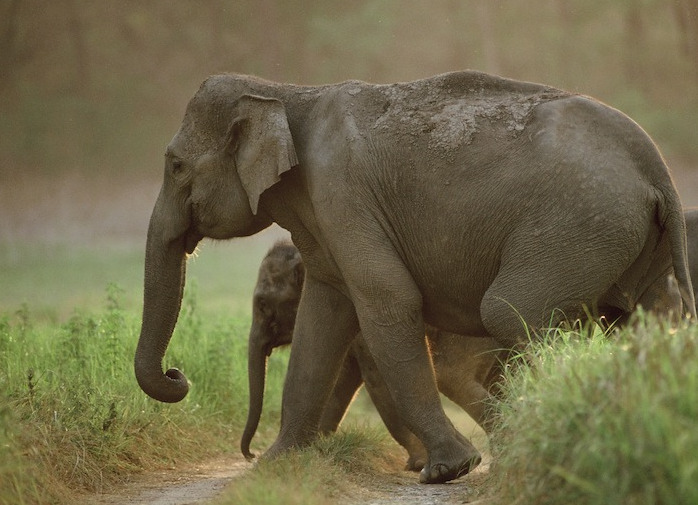 Below, we give an insight into the Corbett National Park. Corbett National Park is located in the foothills of the Himalayas. Corbett National Park was established in 1936, as the Hailey National Park. Corbett National Park was the India's first national park. With the help of the WWF, Project Tiger was launched in Corbett National Park in 1973 and this park was one of the first such tiger reserves in the country. Corbett National Park was earlier a popular hunting ground of the British. This park was named in honor of the late Jim Corbett. Corbett Tiger Reserve is totally spread over an area of 1318.54 square kms and includes apart from Corbett National Park, additional areas of Sonanadi wildlife sanctuary and Reserve Forest buffer zone. The topography in this park comprises of hilly and riverine areas, temporary marshy depressions, plateaus and ravines. The lower areas are populated by Sal trees. About 110 species of trees, 50 species of mammals, 580 species of birds and 25 species of reptiles are found in this park. The major wildlife animals found in this park are Tiger, Leopard, Elephant, Deer, Wild Boar, Leopard Cat, Jungle Cat, Sloth Bear, Himalayan Black Bear, Wild Dog, Langur, Rhesus Monkey, Himalayan Palm Civet, Indian Grey Mongoose, Common Otter, Blacknaped Hare, Porcupine and Jackal. Along the banks of the Ramganga River, one can also spot the Crocodiles. Besides various wildlife animals about 580 species of resident and migratory birds are also found here. Peacock, Kite, Water fowl, Storkbilled Kingfisher, Brown fish owl, Red jungle fowl, Minivets, Shrikes, Cuckoos, Barbets, Bulbul, woodpeckers and parakeets are also found within Corbett National Park. You can visit the park either by having an Elephant or a Jeep Safari. A guide will always accompany you during the safari in the park. There are watchtowers inside the park from where you can view the animals at a very close distance. Some of the birds that migrate during the winter are the Steppe eagle and various water birds. The best season to visit the Corbett National Park is from November to June. During the monsoon season that is from July to October this park is closed. The nearest airport is located at Phoolbagh, Pantnagar at a distance of about 50 kms. The nearest international airport is located at Delhi, which is about 300 kms. Ramnagar is the nearest railway station located on the broad gauge track. Corbett National Park is connected by road with Ramnagar, Lucknow, Nainital, Ranikhet and Delhi.